Thanks Juliellen for the tip! Stone Brewing Richmond is continuing to ramp up brewing capacity. Four 1000-barrel tanks will be arriving by barge to the Intermediate Terminal on Wednesday December 6th. On Thursday December 7th between 9am and 4pm, the tanks will be transported from the city dock to the brewery. Due to the offloading and transport, traffic will be intermittently detoured from Main Street to Nicholson Street to Williamsburg Avenue at Stony Run Parkway on Thursday December 7th. We apologize for any disruption that this event might cause. Thank you for posting. 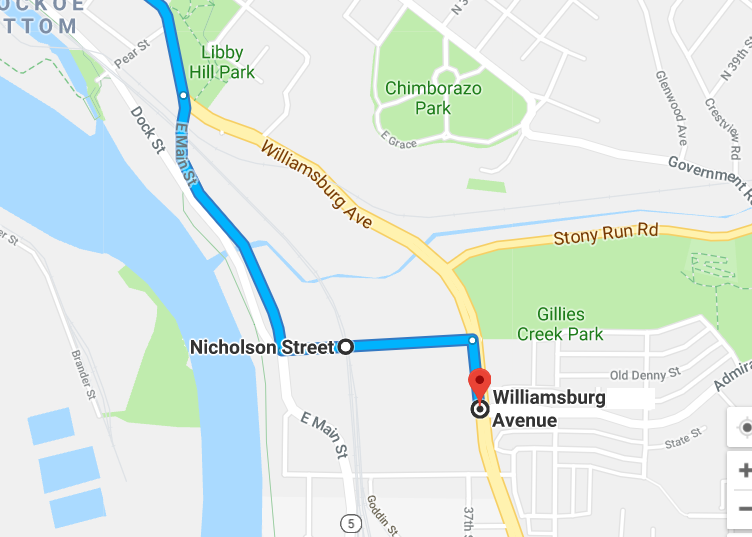 The map should show the route going to the loading dock across from Stony Run (so taking a left on Williamsburg Ave from Nicholson). First thread that I’ve noticed that was not posted by John M. so welcome to new team members!